A reputable moving company in Ramsbottom, a town in Greater Manchester has the skills you need to have a stress free move. They help people – people who underestimated the physical exertion and mental anguish involved in a move and who tried to do it themselves. Littleborough Removals come as highly recommended from those who have put their services to the test. With more than 15 years of moving experience, Littleborough Removals work in Rochdale, Oldham, Bury and more, and can move you across the road or across the country. When you select a Ramsbottom moving company with a solid reputation, you get people who take care of your goods as though they were their own. They move your household goods, office goods or commercial goods with the same amount of dedication. As a family owned business, their staff is trained to handle the most fragile items with the utmost care. On top of that they also offer storage facilities and supply bubble wrap, cartons and other materials to avoid any breakages. When you choose a reliable company such as Littleborough Removals you get a fully insured company, overnight and out-of hours services, local and long distance removals, fixed rates and much more. 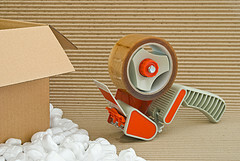 A moving company in Ramsbottom is what you need to avoid one of the huge stresses of life. People fret because they know that a move can cost them a fine penny. It is for this reason that it makes perfect sense to choose a moving company whose mission isn’t to charge exorbitant prices. With Littleborough Removals you don’t have to dread moving. Packing up all of your worldly goods needn’t be a hassle. Littleborough Removals, with their powerful trucks, their helpful and trained staff have one goal – to ensure that your move isn’t one huge stressful affair, but rather that it goes off effortlessly and smoothly, whatever your moving requirements are. Don’t gamble with your goods – contact Littleborough Removals, the best thing you can do to ensure a stress-free move. This entry was posted in Moving Companies and tagged Moving Company in Ramsbottom, Ramsbottom Moving Company. Bookmark the permalink.